Welcome to Wednesdays issue of the Android Daily Dose, all the top android news at the halfway point of the week. Wow. If this doesn't blow your mind, then Nvidia's estimate that we should expect to see these monster processors in tablets and phones before the end of the year should! To put it into perspective, most of you guys reading this on your desktops PC's or laptops won't even be running quad core, maybe not even dual core..! This really does open up a world of possibilites for the mobile device, and of course all you androud users! Yet another homescreen for android, yet another concept video. Ok, ok, we've seen plenty of these concepts, and plenty of those concepts have come to nothing at all. But this nice homescreen is actually running (in some form) at Mobile World Congress, so that should instil some sort of confidence we might actually see this. Sort of reminds me of Windows Phone 7, which I don't hate, but would struggle to pull me away from android as it stands right now, especially with Launcher Pro, ADW, etc available. Still, the very fact that we are able to install custom launchers is something to celebrate right! If you're looking for a cheap budget android phone, then you really can't go wrong with these two! It was only a few months ago that you'd have to be on a Â£35p/m contract minimum to get these phones for free. They might be cheap, but are still very good devices, especially when rooted. If you are a fan of HTC, then you might want to look at these instead of paying mega bucks for the phones they announced at Mobile World Congress. Yes they are technically better phones than the Desire, but only just, and maybe not Â£15-20 more a month better. So there wasn't actually a live stream of this yesterday, but a few recordings have shown up on youtube. Not completely android related, but you should really give this a listen. Its quite fascinating to hear Eric's ideas. LG enjoy making android videos, some are great, some are just a bit strange. This one could be classed as both i think! The LG Optimus 3D (possibly the best phone coming out?) contains dual channel memory. Doesn't mean much to me, maybe not to you. But LG actually do a very good job of explaining the benefit for the layman. Check out the vid below. Woah, this came out of nowhere! 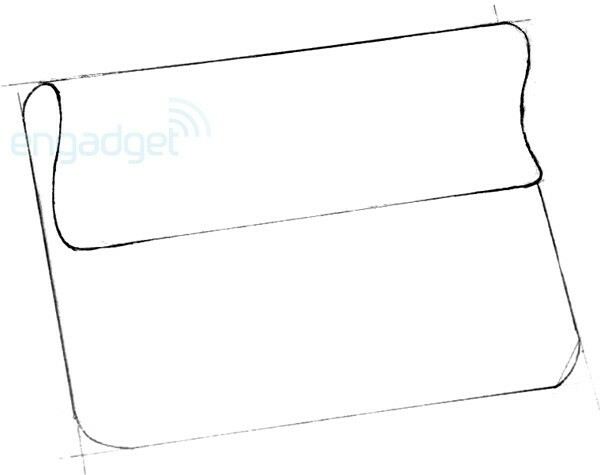 Apparently Sony (not the disappointing Sony Ericsson) are creating an android tablet. 9.4" 1280x800 (same as the Tab and Xoom), dual core Tegra 2. Planned to be shipped in September at around $599 for a WiFi only version. The thing is supposed to be beautiful and be made from premium materials. The device will also be Playstation certified, and looks like it will enjoy tight integration with the Playstation ecosystem. The image below shows a sort of wrap design for the tablet, that helps with look and usability, especially balance. Wel'' have to bide our time and see what this turns out to be, high hopes from me though! 7. 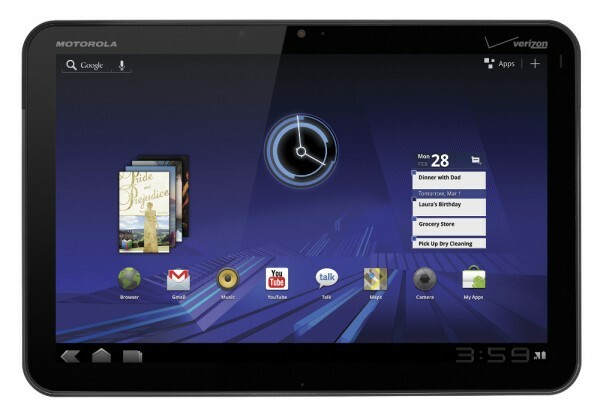 Motorola Xoom Pricing Confirmed! The Xoom, fortunately, will not be priced at $1200, as rumours would have us believe. The actual price will be a more pocket friendly $799 for the 3G version, and $600 for the WiFi only version. Good, bad? For the UK not terribly exciting considering $ usually equals Â£. So expect the same sort of prices over here. Will you be getting your hands on one for that price? You've heard the recent saga from Apple right? Foring app publishers to sell their in app content from within the Apple ecosystem (in order to get their evil hands on 30% of the profits). Well Google seem to have quicky responded to this with the anouncement of their One Pass. Google cite One Pass as "a simple way for publishers to manage access to digital content". From first glance it does seem very good for both the publisher and us, the consumer. The publisher hands over only 10% to google, whilst providing a number of different methods for providing and charging for content. Customers gain the benfir of a single sign on to all their purchased or free content.Â Google are not forcing this on publishers either, something one could call evil, and something not all mobile OS creators get. It also offers payments in mobile apps, in instances where the mobile OS terms permit transactions to take place outside of the app market. Quite a cool game from developer YoYo Games. I have to admit I'd never heard of them before, but they seem to have a few high quality games in the android market, at a decent price too. One of those games, entitled "They Need To Be Fed" is quite a fun casual game. It sort of reminds me of Rocket Bunnies, it offers a similar gravity style gameplay. So definitely check this one out if you enjoyed that game.